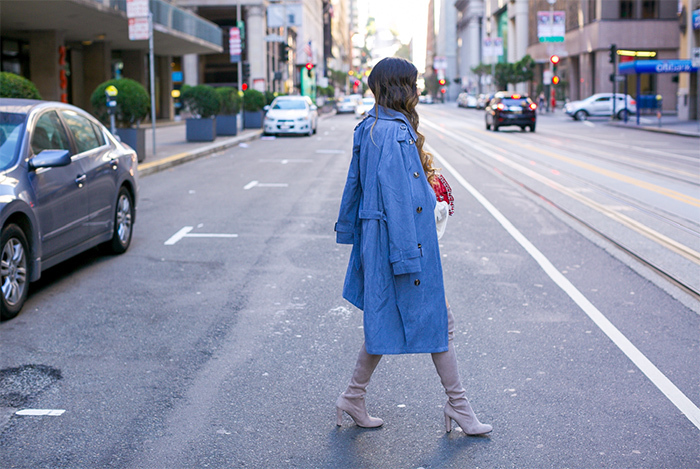 If there is one item you must have to transition into fall, it has to be the trench coat. This one I'm wearing not only cute, but also super affordable cause it's less than $70. It's also available in pink as well. BTW, my bow top comes in multiple colors and it's less than $70 as well. It is the basics that goes with many different pieces.